Know someone else who's keen to get the best out of the internet? If so, a subscription to Web User magazine could be the perfect gift. 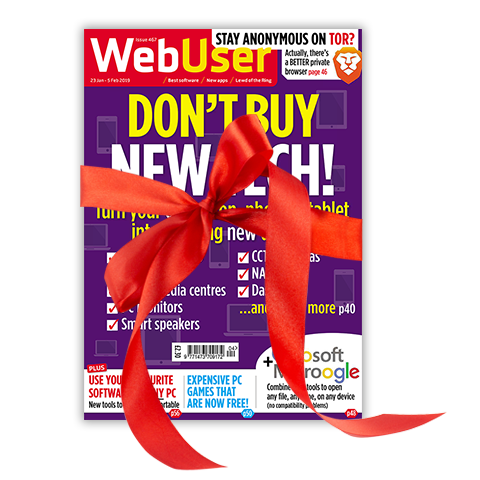 Must-visit new websites, PC and web tips, brilliant money-saving tips, easy-to-follow workshops and comprehensive hardware and software reviews. Simply click below and enter the name and delivery details for your lucky recipient and click add to basket. You will then proceed to the billing and payment details on our secure payment site.